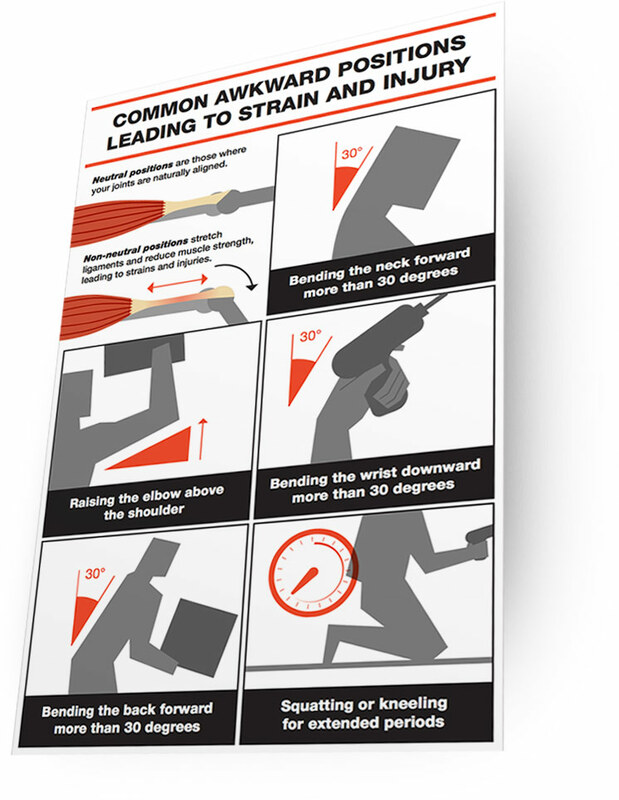 Within work environments, there are a number of common positions which can lead to strain or injury. Some of the problems we see on a regular basis can be easily prevented by keeping an eye on these easily preventable positions. Download our printable infographic chart—suitable for sharing in your own work setting—to find out more.